"Sometimes things are meant to be." 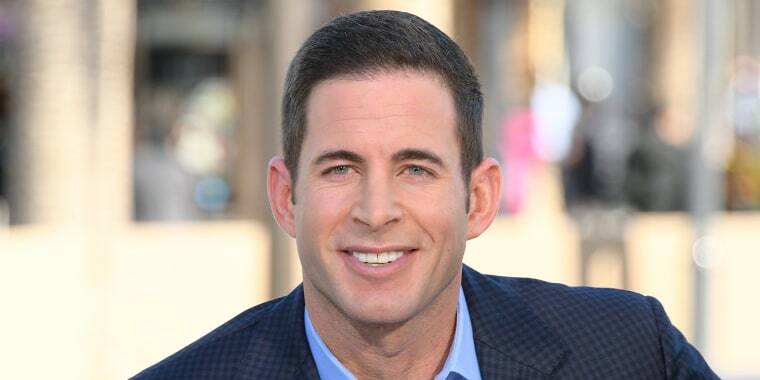 He wasn’t even looking for a new home, but when Tarek El Moussa drove past a modern farmhouse-style property in Costa Mesa, California, he knew it was the one. The 36-year-old “Flip or Flop” star shared the moment in a post on Instagram, saying that within hours of seeing the place in Orange County, he was writing an offer and negotiating the deal. El Moussa related the purchase to a life lesson: “If you want something go get it, go after it and never quit,” he wrote in the caption. I BOUGHT A HOUSE!!!!!!! I'm am so excited for my "new beginnings"... sometimes things are meant to be:) I wasn't looking for a house nor was I looking in Costa Mesa. I was randomly driving down a street and saw this place and I knew it was the one! Within hours I was writing an offer and negotiating the deal...the lesson...if you want something go get it, go after it and never quit! This relates to life in general..if there is something you want take action!!! My ❤️❤️❤️ Babies finally get a home with daddy!! !-------- scroll to see the pics---WHAT DOES EVERYONE THINK, did I do good?? And it’s easy to see why the real estate investor wanted this home. It has gorgeous curb appeal with a clean white exterior and bright red door, and the interior is just as sleek. An open living area features a tall, vaulted ceiling with tons of natural light streaming in from the windows. Oversized glass doors open to the pool area to give the space an indoor/outdoor feel. The kitchen features stainless steel appliances, white cabinets and a large island that adds extra prep space and room to dine. White marble subway tiles create the backsplash while a bronze range hood gives the room a pop of rustic charm. The master suite is open and airy thanks to its vaulted ceiling and glass doors that open up directly to the pool area. There’s also a spa-like bathroom featuring a large soaking tub and glass shower. “Babies finally get a home with daddy!” he wrote, referring to his kids Taylor, 7, and Brayden, 2. Before this purchase, El Moussa was living in a remodeled house, but it seems like this one is a place he's looking to put down roots.